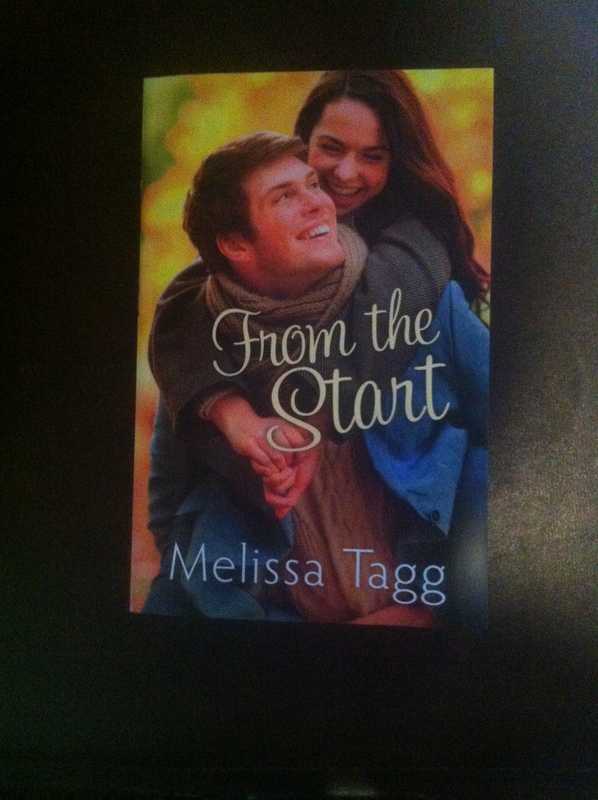 Over the weekend, I received a wonderful surprise in my mailbox – an advance copy of Melissa Tagg’s, From the Start. The delightful characters from Maple Valley jumped off the page and into my heart. (From the back cover) Kate Walker used to believe in true love and happily ever after. While her own love life may have left her brokenhearted, it hasn’t kept her from churning out made-for-TV romance movie screenplays…until a major career slump and a longing to do something meaningful send her running back to her hometown of Maple Valley. Permanently sidelined by an injury, former NFL quarterback Colton Greene is temporarily hiding out in a friend’s hometown to avoid the media and the reminders of all he’s lost. Maple Valley seems like the perfect place to learn how to adjust to normal life. The only trouble is he’s never really done normal before. While Kate plays things safe and Colton is all about big risks and grand gestures, they both get what it’s like to desperately need direction in life. An unexpected project gives them both a chance to jumpstart their new lives, but old wounds and new dreams are hard to ignore. Starting over wasn’t part of the plan, but could it be the best thing that’s ever happened to them? As a writer, I immediately connected with Kate and walked along side her through the ups and downs of her journey in the novel. Melissa did an excellent job of making characters and the story real. Kate is a prime example. She comes to a place where she has her life figured out – all the pieces in place. However, she fails that God sees the big picture and her life isn’t going to go quite as she planned. It was a fabulous reminder for all of us, that God has a purpose and plan for each of us, we just need to be willing to take the risk, like Kate, and step out in faith. I would highly recommend this book as well as Melissa’s other great books, Made to Last and Here to Stay. You will immediately fall in love with her characters and engaging stories. **Don’t forget that I will be announcing the winners of my latest book giveaway on Friday. To enter, you simply need to leave a comment. I would love to hear about a time you took a risk and stepped out. ← What are you planting?